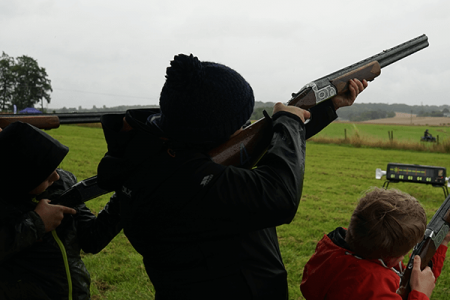 Enjoy a spot of Archery & Air Rifles on your school club trip in Scotland with Great Away Days. We have adapted our Archery & Air Rifles session so that it is suitable for children of all ages. Our experiences staff will be on hand throughout the whole event to ensure safety and fun! This activity goes perfectly when paired with a Mini Highland Games or School Sports Days for an action-packed afternoon! “The kids on our youth group trip had a brilliant time with Great Away Days doing Archery & Air Rifles. It was a safe environment which was a priority for us but everyone had so much fun! So well organised as well. Thank you!" “What a brilliant day we had for our yearly School Trip in Edinburgh. The kids done Archery, Air Rifles and Highland Games and they had an absolute blast! The booking was so easy for us and everything ran perfectly throughout the day. The staff were top notch with the kids as well!"